GUERLAIN is synonymous with couture beauty and masterful fragrance. Its incredible legacy of creativity and innovation has set it apart for five generations, beginning with Pierre-François, carrying on with Aimé, Gabriel, Jacques and Pierre, and ending with Jean-Paul. The baton has now passed to a 'son in spirit', Thierry Wasser, chosen by Jean-Paul Guerlain to carry on the great tradition of the GUERLAIN master perfumer. Their fragrances have shaped the world of perfumery as it is known today, with compositions that are as beloved now as they were when they were first created. 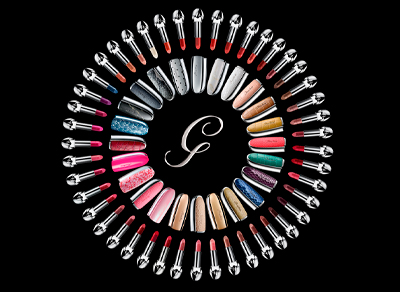 Innovation, quality and luxury are the cornerstones of the House of GUERLAIN, with beautiful objets d'art and masterful formulations that have lasted the test of time. As one of the oldest perfume houses in the world, GUERLAIN has a rich and varied history. The House was founded in 1828 by Pierre-François Pascal Guerlain, a chemist, perfumer and a businessman who originally imported his fragrances from England. He soon began to sell his own products, and so began the great GUERLAIN master perfumer tradition. The House of GUERLAIN would go on to create fragrances for all of the courts in Europe, with patrons including Empress Eugénie, Queen Victoria and Queen Isabelle of Spain. Following the death of Pierre-François, the GUERLAIN business was handed over to his sons Aimé Guerlain and Gabriel Guerlain. In this time the classic scent Jicky was created. The third generation of Guerlain sons were Jacques Guerlain and Pierre Guerlain, and Jacques created many more classic fragrances, including L'Heure Bleue, Mitsouko, Shalimar and Vol de Nuit. The final generation of the Guerlain family master perfumer ended with Jean-Paul Guerlain, author of Habit Rouge, Nahema, Jardins de Bagatelle and Samsara. Today the prestigious accolade of GUERLAIN nose goes to Thierry Wasser, who carries on the great institution with classic fragrances Homme and Idylle.